Hey Everyone! Hope you are all okay! So today I thought that I would do a completely different post from my usual rambles and talk to you all about finishing university. On twitter I follow a lot of people who are just at that stage now of finishing their final exams/dissertations for university and are getting prepared to enter the big wide world with the rest of us. I've seen a lot of tweets from people who are concerned and are scared. I graduated university two years ago and believe me when I say I was nothing short of the word terrified. It is scary but I've drawn from my own experiences to put together this post. I hope it helps you. Remember To Congratulate Yourself: When I was at school and college nobody thought I could get to university. Despite working so incredibly hard at school my grades didn't often reflect that. Especially when it came to exams. I was fine in coursework but exams was just a no-go for me. My high school wouldn't even let me back to do a-levels as they thought it would be a complete waste of time and that I wouldn't get to university. Even though I struggled a lot when I was at university I powered my way through and ended up graduating with a second class honours degree. It is honestly the best feeling in the world and despite having my doubts along the way I think it's extremely important to take a step back and just realise how much you have accomplished. Having a degree is amazing and one of the biggest things you'll achieve in your life and the fact you've committed yourself to stay in education to better your future is amazing. Give yourselves a pat on the bag, go shopping, celebrate in style with your friends. Whatever you choose to do hold your head high and be proud of what you've achieved. Don't Stress About Your Results: This I think is probably one of the most important things to remember. Whether you've handed in your dissertation, completed an assignment or just walked out of an exam you've done the best you can do. It's done and completely out of your hands. Do not stress about it and move on to the next exam you have or if you have none left make sure to go out and celebrate with your friends. I think one of the worst things you can do at the end of an exam is talk through answers with your friends. I absolutely hate the whole 'What did you put for that answer?' questions. It can really stress you out and make you worry so just walk away from that if it comes up or change the subject. You've done the best you can. Now it's just a waiting game. Just make sure to have fun throughout the waiting period. Remember The Amazing Experiences: University is hard. It was for me. My first year was absolutely amazing and I had a fabulous time. Second year was the complete opposite and really not the best year I had and my third and final year was a really good year. However throughout all three years I made memories and had amazing experiences with my friends. Looking back at them at the end was really special and it just made me realise that those bad times were not that bad. I pulled through them and came out of it a better person and I was extremely proud of that. Don't worry about life getting in the way of your degree. It happens and as bad as things seem now, once you've got that degree in your hand it'll seem like nothing and you will remember the amazing memories you made. 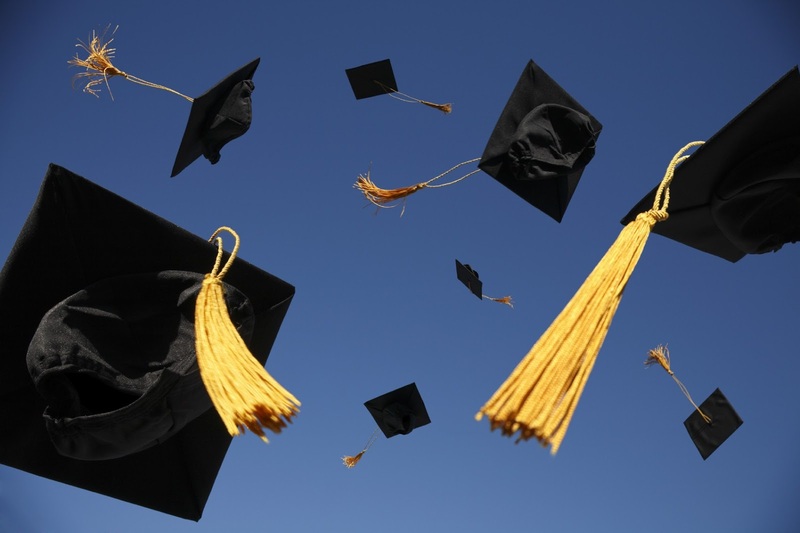 Prepare For Graduation: Graduation is such an amazing experience and I honestly wish I could re-live my own graduation so I think it's extremely important to take full advantage of the day! Dress up in your best outfit and take a million photos of everything from selfies, to putting your gown on, to family photos to that all important throwing the cap in the air, it's definitely a day where it's acceptable to document everything! If you're in an amazing venue as well make sure to take as many photos of that too! I graduated in Westminster Cathedral in London which is pretty amazing. If you're a snap happy person like me this is the perfect occasion. I will include a few photos at the end of this post of my own graduation. Make Sure To Apply For Work Experience/Internships: A lot of people at the end of their degree or after graduation will not have a job to go straight into. If you do then Congratulations! If you don't then please do not worry. It is not the end of the world and you will find something. However I think it's extremely important to keep an open mind and take anything. Whilst you're applying for jobs, also make sure you are looking for work experience opportunities and internships! Remember that anything will look amazing on your CV and even though it may not be money just now it could lead to bigger and better things. Just have an open mind and always be positive and enthusiastic. Just make sure to relax, take a deep breath and apply. You may not hear things back but don't lose your momentum. Keep trying and eventually something will come up and it'll all be worth it. Your hard work will not all be for nothing, I promise! It took me ages to find a job in my field but at the same time I was applying for everything. Make sure to tailor your CV and if need be head down to the job centre and get them to help you regarding your CV and they could even tell you about placements within the area. I know some people view job centres as quite a negative thing however they really do help you. It is after all what they are there for. Travel Around: If you are finishing university and don't have anything planned but maybe have some money travelling for a little bit is always another option. You've just spent 3/4 years studying. I'm sure you'll need and want a bit of a break from the same surroundings. When I finished university I was desperate to get out of the country. I just needed a little bit of a break and really didn't want to stay here. I applied for a job with Thomas Cook which involved six months of work abroad. I was sent to Turkey and even though it's definitely not somewhere I would normally go I had an amazing time and saw lots of amazing places and saved a fair bit of money too. However, if you don't want to travel abroad, maybe visit some places in the country you live in and travel domestically. You don't need a huge amount of money and even if it's just a day trip at least you would have experienced something new and got away for a little bit. You could even arrange a final get together with all your uni friends after graduation before you all go your separate ways! Celebrate, Celebrate, Celebrate: Last but not least be sure to celebrate with all your friends and family. You have all been on this journey together and everyone around you will be immensely proud of you. Make sure to have fun and enjoy your new found freedom as a fully fledged adult! So those are just a few tips and advice I can think of that can possible help those of you scared about entering the world for the first time on your own. 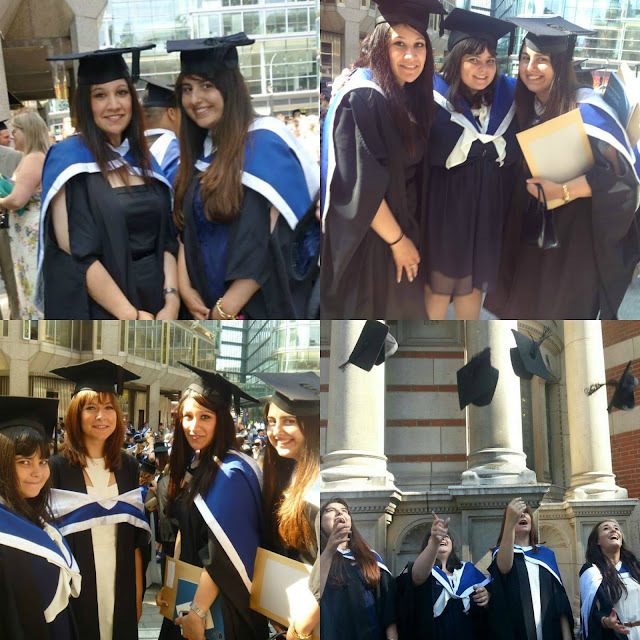 Above is a few photos of my own graduation with some of the amazing friends I made whilst I was there. If you have finished university or are finishing pretty soon then the biggest congratulations to you. What you've done is amazing and you should be so proud. If you are still in university then please make the most of it! It's just three years of your life and even though it may seem tough and you are struggling you will pull through it and gain some absolutely amazing experiences as well as an incredible life achievement. Best of luck to everyone and good luck with whatever you have lined up! Have you recently finished university? What field are you graduating in? Congratulations on graduating! It's such an achievement and it sounds like you've been enjoying it. My biggest thing after graduating was going from staying up until 4am and sleeping until the early afternoon to actually having to get up and to work for 9am, so tricky!